You probably don’t give your driver’s license a whole lot of thought (other than a fleeting glance at its expiration date every year or two), but that changes quickly when you are faced with the very real potential of losing your license. Driving may well be crucial to your way of life, so put some thought into maintaining your driving privilege. 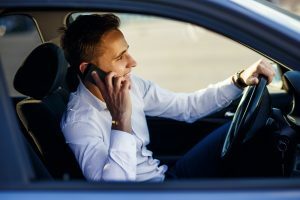 There are several New Jersey traffic violations – due to New Jersey’s driver’s license point system – that are most likely to put you over the point threshold and leave you with a suspended license. You depend on your ability to drive; protect that privilege. Don’t Leave the scene of an accident; it’s a serious violation, and it’s seriously the wrong thing to do. Additionally, if the accident leaves someone injured, you’ll forfeit 8 points on your license. Don’t pass improperly – including passing on the shoulder, on the left side, without signaling properly, or in a no-pass zone. It’s not only dangerous but also will cost you in terms of driver’s license points (4 to be exact). Don’t engage in reckless driving. It’s a reckless thing to do, and it will top off your point count with a demerit of 5. If the arresting officer deems that your reckless driving willfully endangered others, you could even face criminal charges that will significantly up your sentencing ante. Don’t pass a stopped school bus that has it’s flashing red lights on. It’s a criminal violation that puts children in danger and that will cost you 5 driver’s license points. Such an act will likely incur heftier sentencing that can include additional fees and the immediate risk of a suspended license. Don’t speed. Driving too fast is dangerous and it can add up to 5 points to your record (depending on the severity of the offense). Don’t tailgate. Driving too close to another vehicle is extremely risky, and it comes with a significant charge of 5 driver’s license points. Don’t fail to stop for an ice cream truck when it’s stop arm is out. This is an often forgotten but important traffic rule; to disregard it places children in danger and will sock you with a 4-point violation. Once you reach specific points thresholds, your driver’s license is at risk of being suspended. If you rack up 6 driver’s license points within a three-year period, you’ll pay an additional license surcharge. If, within that same timeframe, you incur 12 or more points, you will be faced with license suspension. Your driving privileges are too important to leave to chance, and safe roads matter. If you’re looking at too many pesky driver’s license points (it happens), contact the Law Offices of David W. Polsky; we have the experience and commitment to guide you through your dilemma. David is a skilled New Jersey lawyer with skill in defending drivers just like you. We’re here to help, so give us a call at 973-686-9787 or contact us online.